Society is hooked on a video game in Steven Spielberg’s stellar new film, Ready Player One. Citizens are so crazed about winning in the digital environment, they risk to be the best player in the game. Spielberg’s dystopian vision of a future society built in a digital construct may seem like an ORWELLIAN far-fetched dream, though with news from the World Health Organization that video game addiction is a serious disorder, the movie’s parable is on point. And if you do not think gaming is a worldwide phenomenon, attracting millions of enthusiasts, think again. According to the Entertainment Software Association, 2.6 billion people play video games around the globe and the gaming industry is expected to grow 31 percent to $180.1 billion over the next couple of years. With a massive captive audience, the WHO’s recent classification of gaming disorder is an important step toward informing the public of excessive video gaming risks and getting help for those caught up in the disorder. As an addiction specialist who has worked with many families and their loved ones experiencing all types of addiction, I see similarities between gaming disorder and other process addictions such as gambling as well as a correlation between gaming and substance dependency. Dr. Levounis supports the classification of gaming disorder. 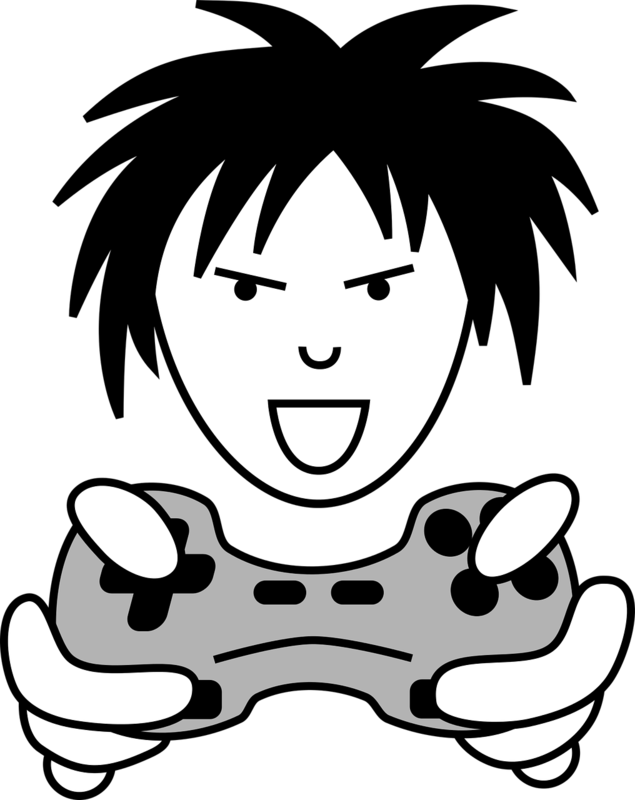 Though the gaming industry is not pleased about the stigma that comes from exposing video games’ potential harm, some believe this classification will encourage people to seek treatment, spur treatment centers and therapists to work on the issue and develop new programs, and push insurance companies toward covering gaming disorder as a legitimate problem. In fact, the WHO released the classification after a number of treatment programs for teens and adults experiencing this addiction popped up, reports NPR. Still, it can be difficult to find affordable treatment for this nascent disease classification because more research and practice needs to be done. Some mental health professionals believe gaming disorder may be a co-occurring medical condition. As I have written about looking beyond the triple threat, a confluence of issues – multiple mental health conditions across the spectrum of human psychology – come together to feed the addiction. As such, mental health professionals see gaming disorder as a side effect or co-occurring issue with more familiar conditions such as anxiety and depression as well as substance misuse. And marijuana is seen as a common drug that accompanies this phenomenon. This makes sense in a society increasingly glued to their phones. Nomophobia, the irrational fear of being away from your phone and/or having an unhealthy attachment to phones, is a disorder that has become commonplace. Research shows social media apps like Instagram, Facebook and YouTube are at the helm of drawing in viewers for excessive amounts of time. In fact, research from my presentation on Ethics in the Digital Age found that 79% of cellphone users are on Facebook, 32% use Instagram, 31% use Pinterest, nearly 30% use LinkedIn, and 29% use some kind of messaging app. And my research on the topic has already revealed that teenagers, a captive audience for gaming, suffer from higher levels of anxiety and depression due to the rise of these social media outlets. Thus, it’s no surprise that teens are susceptible to a co-occurring gaming disorder. A study on video game addiction amongst youth ages 8 to 18 published in Psychological Science found that nearly 9 percent of young players are addicted to their games. As the gaming industry grows and society becomes ever more immersed in digital worlds, these numbers are expected to rise. A particular concern for impressionable youth is the link between gaming disorder and gambling. According to an article in The New Yorker titled “The Rise of the Video-Game Gambler” by Alan Burdick, published June 18th, teens are spending real money on in-game “loot boxes.” A “loot box” is essentially an in-game lottery ticket. Players can purchase them as a way of increasing their chances of winning the game or succeeding at a challenge. The catch is that a loot box varies in its odds of giving the player an advantage. Researchers on the subject see how this gaming activity mirrors slot machines and other forms of gambling, a pernicious tactic game developers use to pump up revenue. As an experienced family clinician and interventionist, I’m concerned for this growing population of children and young adults who engage in all types of social media that can facilitate or exacerbate process disorders like gambling. Centers are popping up which address this new adolescent phenomena. Resolutions Teen Center in LA and Paradigm in Malibu and San Francisco are two new ones joining the acclaimed Restart program in Washington State. We must be vigilant about moderate use of smartphones and games and encourage human interaction in our daily lives. Spaces and communities for cutting back on gaming have already cropped up. Cam Adair, founder of Game Quitters, an online support community, suggests programming, yoga and other activities to help players ease out of gaming. Moreover, Liz Woolley founded On-Line Gamers Anonymous forum after her son, an avid gamer, committed suicide. The forum offers resources for finding help when gaming disorder takes hold, including a list of medical professionals on the site, reports the New York Times. Even outspoken Simon Cowell, famed judge of America’s Got Talent and producer of American Idol and The X Factor, recently admitted to cutting back on cellphone use because he noticed it was cutting in on his ability to concentrate and precious time spent with his family. As Cowell does on the show, perhaps we should all give the golden buzzer to Responsible Digital Use (RDS)! As gaming grows so will the need for qualified practitioners to work with families and loved ones to develop programs for treatment. The role of the computer in everyday life is here to stay. The question is to what extent will our digital devices and obsessive behaviors such as seen in gaming take us away from daily life. Professionals must be trained in this new arena. Our communities, states and governments must work in tandem to expose problems that crop up from new technologies and develop policies and guidelines. Additionally, myself and the behavioral health/addictions treatment community must be prepared to take on these emerging challenges and work with families and loved ones to find hope and healing so we do not become like those mindless beings in Spielberg’s dystopian video game fantasy.